Smartphones are very popular and have become an important part of our lives and it is especially Android devices that take the crown for being the most used smartphone devices in the world. The ease of operation of the devices based on the Android operating system along with the freedom Android gives the users to tweak in several features has helped this wonderful OS from Google to claim the top spot. 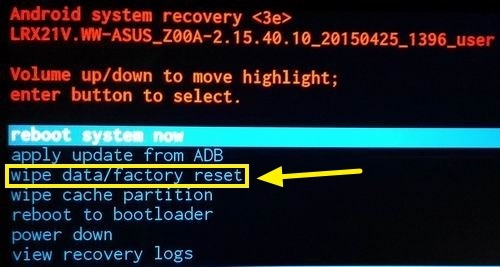 Sometimes, there may be a necessity to reset an Android device to its factory settings. Whether you wish to sell your device to someone else or unlock your device, you will most likely have to do a hard reset. Most Android devices can be reset easily by pressing a combination of volume and power buttons. But to hard reset Android tablet without volume buttons is a different ball game altogether and perhaps a lot more cumbersome. We are here to break that myth for you! If the Android device is working well, to hard reset Android tablet without volume buttons won’t be much of a problem and can be done within just a few taps. But if the device is not functioning, it may pose a problem. That said, there are several methods to hard reset Android tablet without volume buttons. We have been able to list some of the easiest methods and describe them for you in the sections that follow. So read on to learn the methods to hard reset your Android device without using the volume buttons. Resetting an Android smartphone or a tablet is not very hard, especially, if there is a home button on your device. A combination of few button presses including the home button will be the first step to the factory data resetting process. But if there are no physical volume buttons, the process may be quite different from the normal tablets. 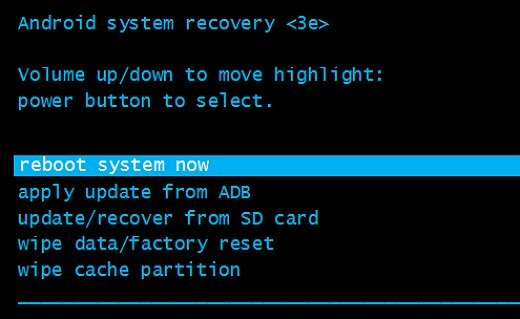 Only after booting your Android tablet into recovery mode, you will be able to hard reset Android tablet without volume buttons. To know how to reset Android tablet without volume buttons, follow the steps described below. Remember that this method would only work if your Android device has a home button. Android device at the same time. Now, the screen for rebooting into safe mode will appear. Tap on “Yes” to enter the safe mode. Press and hold the power button as well as the home button of your device simultaneously until a new screen appears. After it appears, release the two buttons and press the power button one more time. Now, press and hold down the home button. 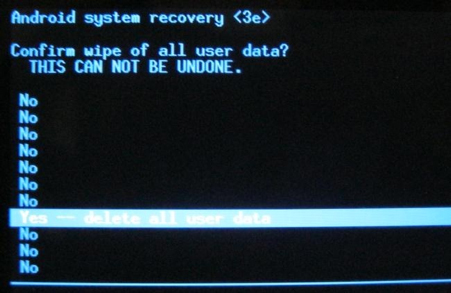 With that you will enter into recovery mode and a new set of options will appear on the screen. Using the home button to navigate, move down to the “Wipe data/factory reset” option. Press the power button to select the option. You may have to confirm your choice by selecting “Yes”. After the reset is complete, navigate to the “reboot system now” option and select it to reboot your device. At the end of this process, your device will be reset. There are many reasons for opting to reset an Android smartphone or a tablet. Sometimes, a forgotten password might get your tablet locked. At times, the screen of your smartphone or tablet might get stuck and fail to respond. Or your device might come with a non-removable battery to make matters worse. For all these problems and many others, you might want to reset your device. But if your device does not come with a home button or volume buttons, you might want to use a different method. Generally, such devices come with a reset pinhole on the device which can be used to reset the device. To perform a tablet hard reset without volume button, follow the simple steps described below. Look for a very small opening on the back panel or the bezels of a smartphone. Usually, such pinholes are marked “Reset” or “Reboot” and are available on the top left side of the back panel. But be careful not to mistake it with the microphone as using it for resetting your gadget may damage the small microphone permanently and lead to other complications. After locating it, insert a stretched paperclip or a small pin into the hole and press it for a few seconds. Now all the data in your Android device will be reset. After this, you can continue to use your device normally without any problem. If your Android tablet or smartphone is functioning normally, your device can be reset to the factory settings using just your device itself. 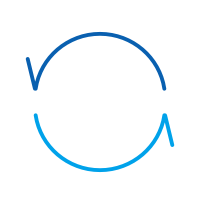 Even if your device does not have a home button or volume control buttons, this method will be applicable and can be used to reset the device. But before using this method to reset your Android device, make sure to back up all the necessary information that you have on your device. You can also sync all the important files to the cloud using your Google account. Also, it is necessary to keep in mind that this procedure will remove all the accounts into which your device is signed in. To know how to reset Android tablet without volume button, read on. Tap on the Settings app in the app section of your device to open it. After that, navigate or scroll down until you can find the “Backup and Reset” option. Tap on it to open the folder. 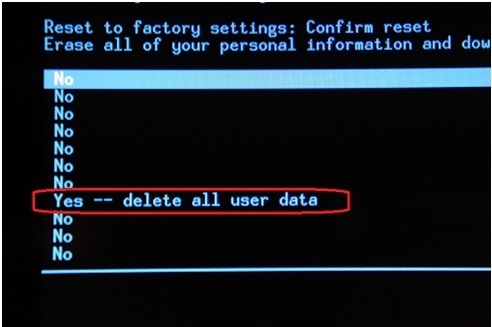 Now swipe down to find the “Factory data reset” option and tap on it. A new screen will appear, requesting you for confirmation to proceed with the process. Tap on “Reset device” to start the process. At the end of the process, your device will be reset and ready to use after it completes the mandatory reboot. So these are the methods with which you can do a hard reset without using volume buttons. The difficulty level of the methods depend on the type and brand of the Android device. The last two parts can be performed easily by anyone and that too in a matter of few minutes. However, the first method may pose some difficulty, particularly because manufacturers set different key combinations for rebooting the device into recovery. Nevertheless, once it is figured out, the rest is easy. Hence, it is up to you to decide on the method to be adopted for hard resetting your Android device. 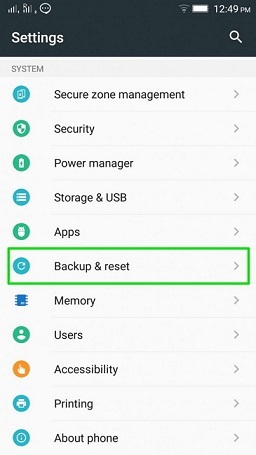 In this article below we will learn to hard reset our Android phone's using two different methods and also backup our data. 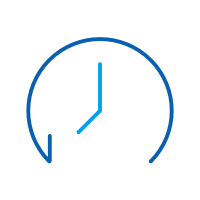 This article is for all of those who are facing rebooting or boot loop issues and frozen device issue on their Samsung Galaxy Devices. Learn how to reset a tablet in four different ways. In this informative tutorial, we have provided stepwise instructions to reset tablet and phone. Perform factory reset Galaxy S5 in four different ways. We have come up with different tutorials for you to hard reset Samsung S5 in no time. 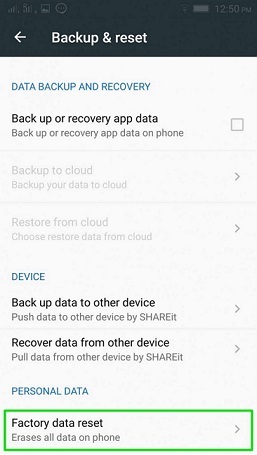 Think the default data wipe tool on your Android is enough to permanently erase private data? Think again. Here is how to be 100% sure.